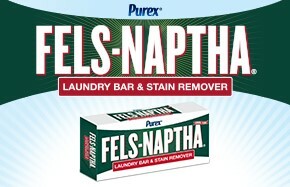 I was chosen for this promo to review the Purex Fels~Naptha Laundry Bar! Thanks to Pure insiders 3 lucky readers of Dnbuster's Place will win a coupon to try Fels-Naptha for themselves! disclosure~ I was provided free product and coupons from Purex insiders in order to post my review and giveaway.